The humanitarian relief effort continues to try to reach the most isolated communities affected by the November 8th typhoon. 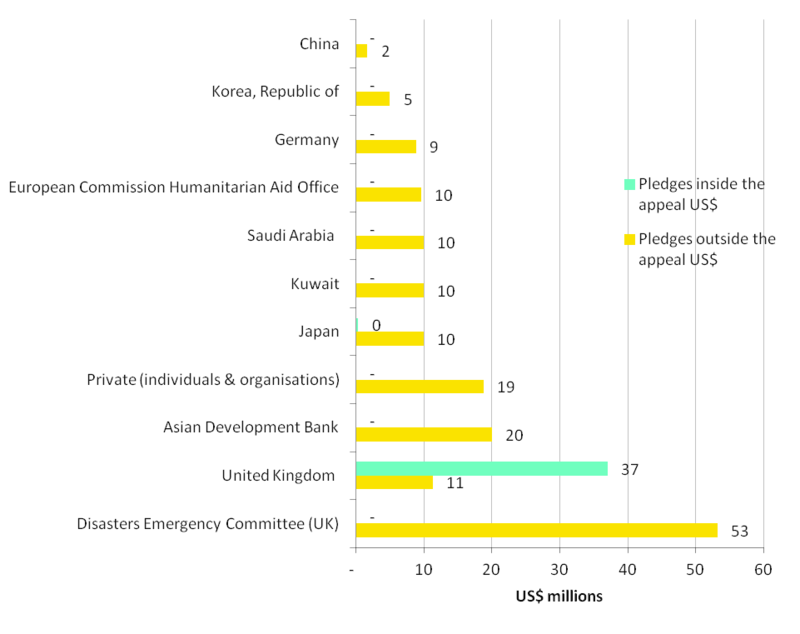 According to UN OCHA, humanitarian partners estimate they have reached just over 1.1 million people with food aid. The Philippines Government has also distributed 837,900 food packs in affected areas. In addition to providing immediate assistance to those affected, thoughts are turning towards longer-term actions. Valerie Amos, the UN Emergency Relief coordinator, has urged ‘we have to start to do the assessment so that we know what the longer-term damage is and the cost and how that money will be raised’. One Philippines government official has estimated to Alertnet that the reconstruction bill could reach $5.8 billion. 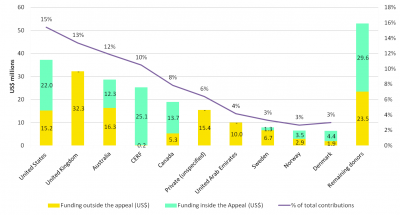 Since our update in yesterday’s blog, funding to the emergency, both within and outside the UN appeal continues to rise steadily. 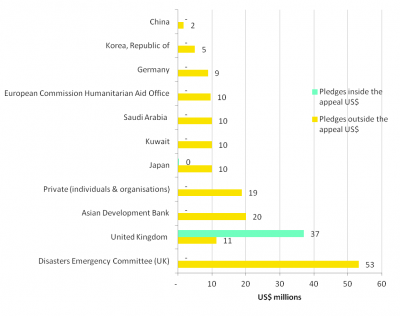 An additional US$46.6 million has now been reported as commitments to the Haiyan emergency appeal and total funding now stands at US$241 million. 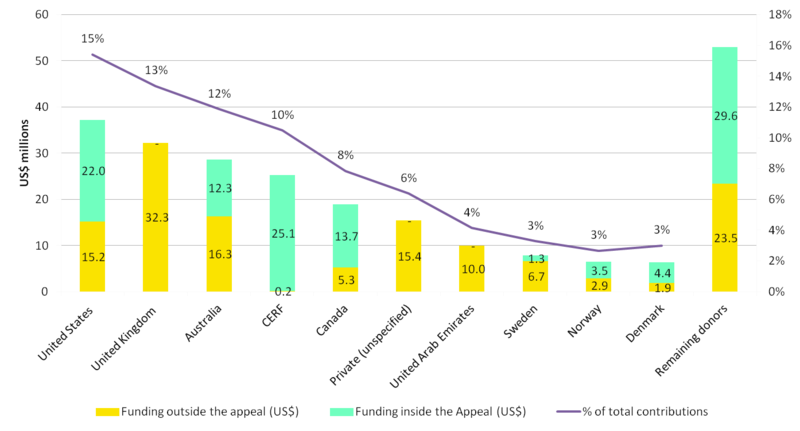 Of this, funding to the appeal is now up to US$112 million from US$87 million yesterday (up US$25 million) – that’s 37% of the total requirement. Private (individual and organisations) contributions showed a significant rise – up from US$9 million to US$36 million. Real time data is made available by UN OCHA Financial Tracking Service (FTS). This data is being constantly updated – the figures used in this blog are based on data downloaded at 08:00 today (20 November). As previously noted, the data cannot capture funding committed or pledged that has not yet been reported to the FTS and there is a need for all donors to report fully and rapidly report to the FTS, to provide a clear picture of the financial response. In the absence of this, other sources of funding information include the Philippines Government’s Foreign Aid Transparency Hub (FAiTH).